Most of us don't think a lot about charcoal except when we need to grill our steaks. But for many folks who can't afford cooking gas, it's the only game in town. 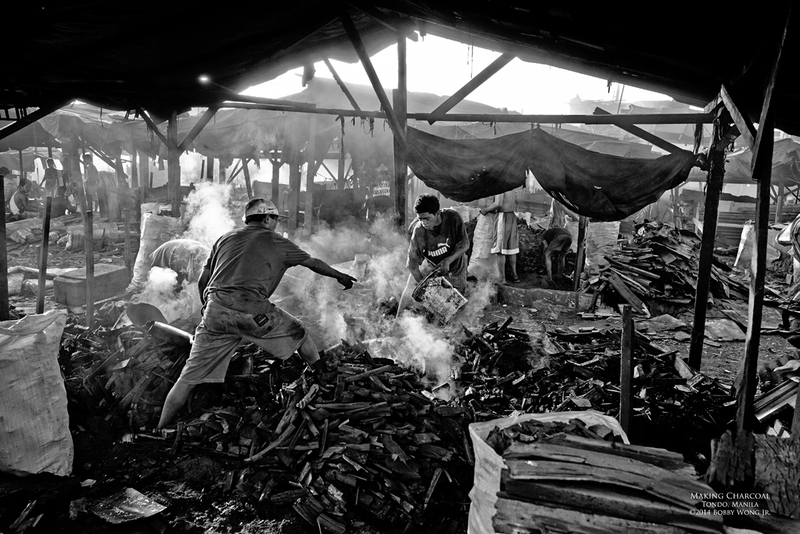 We were at the Ulingan in Tondo Manila where discarded wood is turned into charcoal. Scrap vendors truck-in pre-loved wood in all shapes and sizes, while charcoal cooks arrange them into neat rectangular piles before covering them in sand and setting them on fire. Water sprinkled generously keep the wood smouldering instead of burning, which is how wood is turned into mounds of charcoal instead of piles of ash. Between the squalid working conditions, the soot & grime that can make you feel like you're covered in cheap make-up, and the acrid smell of smoke that stays on you for days... it's a place I won't soon forget. And we shouldn't. (Yes you can help: Project Pearls ) Enjoy.